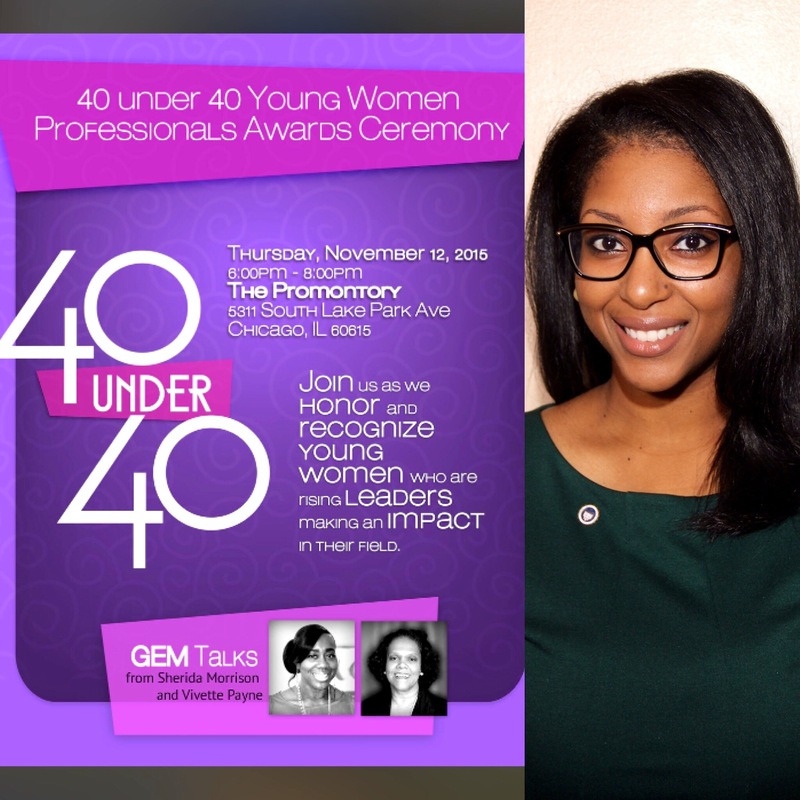 Third year Trinity student Janelle Kala Hadley was named one of Chicago's 40 under 40 by Demoiselle 2 Femme's Next Generation Council, a group that oversees community-based programs for girls on the far south side and south suburbs of Chicago. The group's mission is, among others, to "Support college retention and completion among our girls by connecting them with the best young woman professionals who are passionate about education, career, and empowering future leaders." Janelle has a BS from Howard University and an MPH from The University of Illinois at Chicago. She is a member of the Student National Medical Association, the American Medical Association, the National Kidney Foundation, and the American Congress of Obstetrics and Gynecology. Ms. Hadley was surprised and honored by her selection, having been nominated for the award without her knowledge. The decision was made ultimately because of her status, "As a focused, engaged leader in her field with a specific drive to improve her community." Because the future Dr. Hadley is completing her clinical rotations in Chicago, she will be able to attend the ceremony with her 39 fellow honorees on Thursday, November 12th in the city. Trinity faculty and administration were incredibly excited to hear of Ms. Hadley's selection and are proud to call her one of our own! 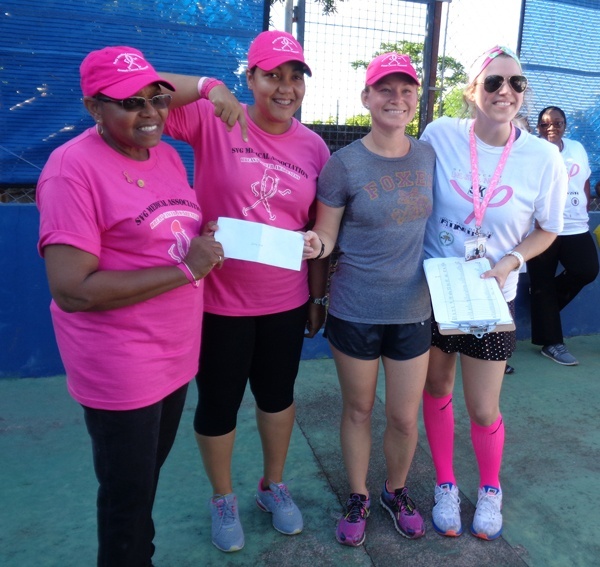 Hundreds of Trinity students and local Vincentians laced up their running shoes for the second annual Breast Cancer Awareness 5K Walk/Run last week. The activity started outside the entrance of the Arnos Vale Playing field and ended at the Grass Roots Tennis Courts in Kingstown.